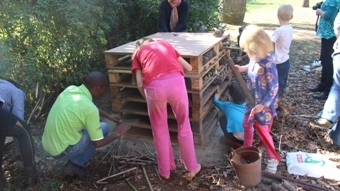 An insect hotel is a man-made structure created from natural materials to provide a habitat for insects and other wildlife. Insect hotels come in a variety of shapes and sizes depending on the specific purpose or type of insect being catered for. Insect hotels provide nesting sites, shelter, food and hibernation sites for insects and other invertebrates. Human modification of natural areas has reduced the amount of habitat available to insects. 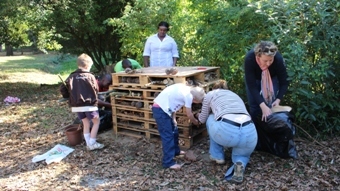 Insect hotels provide additional habitats for beneficial insects in our gardens. Having insects such as solitary bees and wasps in our gardens promotes pollination. 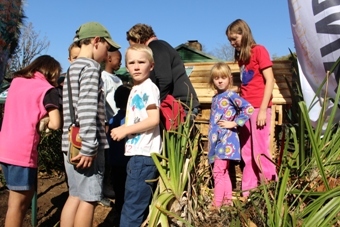 How are insect hotels built? Insect hotels can be built entirely from waste materials such as old bricks, flower pots, roof tiles, pallets and paving stones. 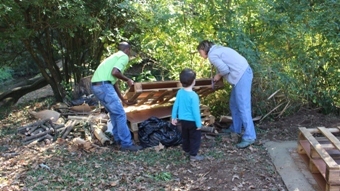 Natural materials such as logs, bark, leaves, pine needles and cones, reeds, grasses, bamboo and moss can be placed into the structure to provide niches for different types of insects. Drilled holes in logs and hollow bamboo or reeds are especially important for providing nesting sites for solitary wasps and bees, which are essential pollinators in natural systems and gardens. Indigenous species with nectar-producing flowers can attract these pollinators to your insect hotel site. Insects play a crucial, yet widely unappreciated role in ecosystems. Insects are involved in pollination, decomposition, pest control and are important food sources for other animals higher up in the food chain. Humans could not exist without insects and it is critical that we do all we can to encourage insect diversity in our gardens, schools and community centres. Where can visitors see one in the Garden? 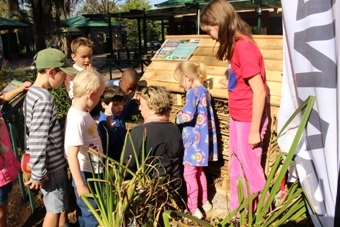 Our insect hotel is situated in the succulent garden next to the kid’s play area, opposite the restaurant, just behind Plane Tree Avenue, which acts as a backdrop.